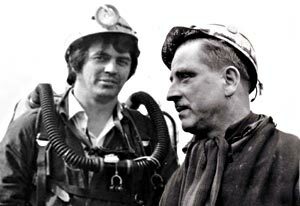 Ray Havill was brought up on Ilkeston Mines Rescue Station where his father, Les, was a full time member of the Mines Rescue Team. Ray, in his turn, decided that the dangerous but fulfilling life was for him and he too became a full time member of the Ilkeston Mines Rescue Team. References to 'Les and Ray' can be found on the following pages. Would just like to say how fascinated I have been with your web site. 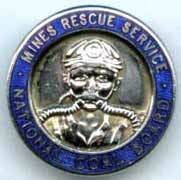 I came across your site by accident as I was searching for a telephone number, completely unrelated to miner rescue but stumbled across it, I became fully engrossed in the history of the miners rescue and the amazing people who were part of this incredible team. What a fantastic account of history, I learnt a lot about my grandfather who appeared to be an integral member of the rescue team. Thank you, once again for a look back at history and a reminder what a great man my grandfather was. My wife and I have just had the pleasure of having met ex Mines Rescue Team leader Ray Havill and his wife Rita on board the MV Athena. He told some wonderful tales of his experiences and of the community spirit that existed at Ilkeston Colliery. Hope you read this Ray and I look forward to seeing you soon.